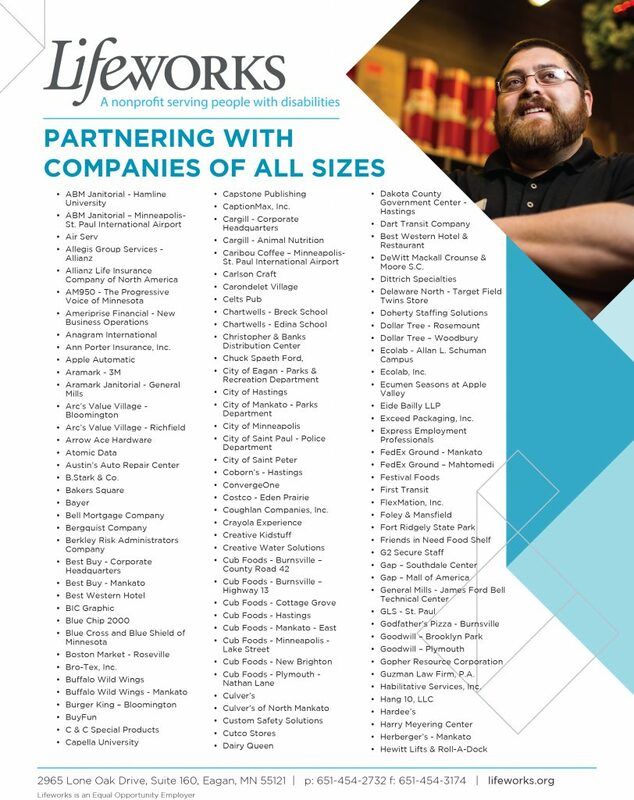 Each October, Lifeworks joins organizations across the country in celebration of National Disability Employment Awareness Month. Its history dates back to 1945, when Congress declared the first week in October each year as “National Employ the Physically Handicapped Week.” In 1962, the word “physically” was dropped to acknowledge individuals with all types of disabilities. In 1988, the federal legislature expanded the week to a month and changed the name to NDEAM. 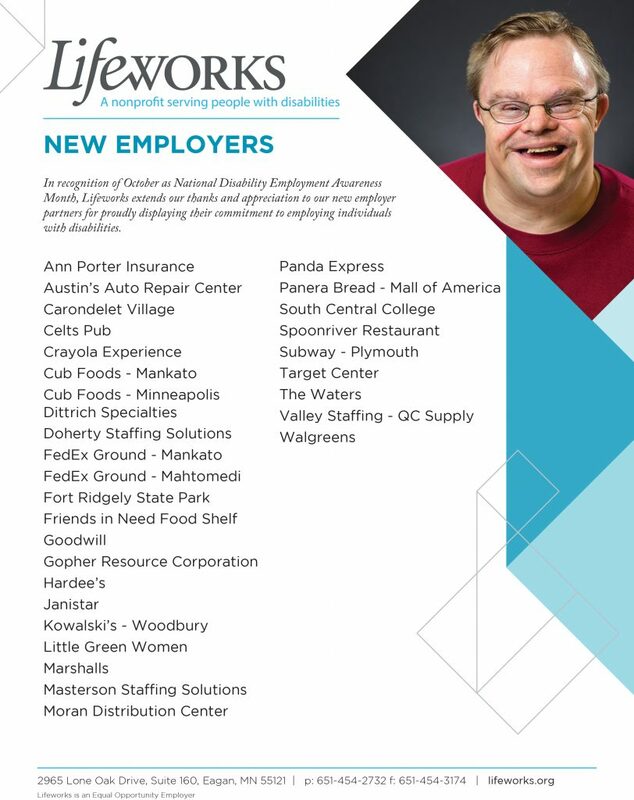 During NDEAM, Lifeworks recognizes nearly 300 businesses throughout the Twin Cities and greater Mankato area who partner with us to employ more than 800 individuals with disabilities. 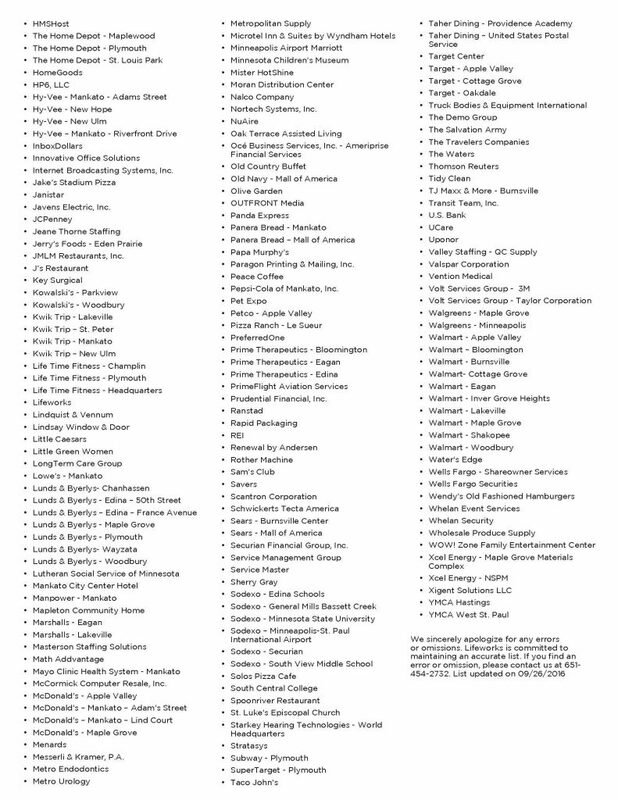 Our employer partners are an integral part of the work we do and help our associates build confidence, become financially independent, and live the life that they choose.